Media: Julian Wright (Journalist), “The Guardian Express” (until approximately 8.03pm). Public: Approximately 20 members of the public. The following is a summary of questions and submissions received and responses provided at the meeting. This is not a verbatim record of comments made at the meeting. · Spoke in support of the application. · Thanked Cr Gontazewski and the Acting Director Development Services for attending a site visit. · Stated that they are willing to plant additional trees along the northern driveway of the property along with an addition garden wall along the front of the property. The Presiding Member Mayor Emma Cole thanked Mr Zounis for his comments. · Spoke against the application. · Stated that the proposed development does not meet Councils residential design codes. · Stated that boundary setbacks will not negate the negative impact that the car stackers will have on surrounding residents. · Raised concern in relation to the impact that the car stackers may have on property value. The Presiding Member Mayor Emma Cole thanked Mr Williams for his comments. The Presiding Member Mayor Emma Cole thanked Mr Mrdja for his comments. · Raised concerns in relation to privacy. The Presiding Member Mayor Emma Cole thanked Ms Turner for her comments. · Stated that the property faces north so the overshadowing is directly to the carport and doesn’t reach the rear laneway. The Presiding Member Mayor Emma Cole thanked Mr Pavisich for his comments. · Advised that the proposed application will overshadow her property and raised concerns in relation to noise. The Presiding Member Mayor Emma Cole thanked Ms Clarke for her comments. · Stated that prior to 2014 Council Minutes were usually available within two to three working days. · Questioned whether the CEO is still committed to producing the unconfirmed minutes in a timely fashion. · Questioned whether an independent staff survey would be undertaken and the results provided to staff. · Stated that the last budget did not provide sufficient information to enable Council to monitor financial performance. The Presiding Member Mayor Emma Cole thanked Mr Maier for his questions and invited the CEO to respond. The Chief Executive Officer Len Kosova advised Mr Maier that the production of unconfirmed minutes is a matter of both timeliness and accuracy and whilst it has taken up to ten working days to produce the unconfirmed minutes the priority has been the accuracy of the minutes. The Chief Executive Officer confirmed that a staff survey was conducted approximately two months ago and the results of this survey have already been provided to all City staff. There being no further speakers, Public Question Time closed at approximately 6.16pm. 4.1 Mayor Emma Cole requested a leave of absence from 17 September 2018 to 12 October 2018 inclusive for personal reasons. That Mayor Emma Cole’s request for leave of absence be approved. That the minutes of the Ordinary Meeting held on 24 July 2018 be confirmed. I would like to mention that we do have some quite key public consultations happening at the moment on our Imagine Vincent website which is our engagement website. They are the Draft Strategic Community Plan; 40km/hr Speed Trial on local residential roads in the southern most neighbourhoods of Vincent; and also our Reconciliation Action Plan in which we are striving to move to an innovate RAP. I would strongly encourage residents and rate payers and visitors to the City of Vincent to have a look at those and please take the opportunity to provide comment. 8.1 Cr Jimmy Murphy disclosed an impartiality interest in Item 18.1 – Agreement to Undertake the Care, Control and Management of the Rosemount Hotel Car Park – 459 Fitzgerald Street, North Perth. The extent of his interest is that the owner of the Rosemount Hotel Carpark, FSM, is a founding partner of the Town Team Movement, of which Cr Murphy is the convenor. 8.2 Cr Jimmy Murphy disclosed an impartiality interest in Item 9.6 – No. 559 (Lot: 4;D/P: 1477) Beaufort Street, Mount Lawley – change of Use from Shop to Small Bar. The extent of his interest is that the representative is Urbanista Town Planning of which Bianca Sandri is a Director. Ms Sandri sits on the Town Team Movement Board of which Cr Murphy is the convenor. 8.3 Cr Jimmy Murphy disclosed a financial interest in Item 9.1 – No. 148-158 (Lot: 600; D/P: 47025) Scarborough Beach Road, Mount Hawthorn – Change of Use from Office/Retail to Educational Establishment. The extent of his interest is that the owner of the Mezz Hawaiian is a sponsor of the Victoria Park Summer Street Party which is run by Cr Murphy’s company, Upbeat Events. Cr Murphy is not seeking approval to participate in the debate or to remain in Chambers or vote on the matter. 8.4 Cr Joshua Topelberg disclosed an indirect financial interest in Item 9.6 – No. 559 (Lot: 4;D/P: 1477) Beaufort Street, Mount Lawley – change of Use from Shop to Small Bar. The extent of the interest is that Cr Topelberg’s business has a current financial relationship with the architect for the development. Cr Topelberg is not seeking approval to participate in the debate or to remain in Chambers or vote on the matter. Items 9.4, 9.5, 9.6, 9.7 and 14.1. 3. All other conditions, requirements and advice notes detailed on the development approval 5.2015.356.1 granted on 9 February 2016 continue to apply to this approval. 1.12 Acknowledgement of City: Licensee will acknowledge the support of the City in its advertising material for the Market where possible. 2. AUTHORISES the Mayor and Director Corporate Services to affix the common seal and execute the licence as referred to in 1. above, subject to final satisfactory negotiations being carried out by the Chief Executive Officer. That Council RECEIVES the financial statements for the month ended 31 July 2018 as shown in Attachment 1. That Council NOTES the Investment Report for the month ended 31 July 2018 as detailed in Attachment 1. 12.1 Turf Wicket Agreement - Tuart Hill Cricket Club Inc.
5. REQUIRES the Turf Wicket Agreement with Tuart Hill Cricket Club Inc. to include specific targets relating to participation rates amongst juniors, women and local residents. That Council RECEIVES the Information Bulletin dated August 2018. 3. The proposed landscaping does not meet the Design Principles of Clause 4.10 of the City’s Built Form Policy as the landscaping has not been designed to reduce the impact of development on adjoining public spaces. 4. In the context of the landscaping and visual amenity impacts of the proposal and the existing provision of 14 car bays onsite, the applicant has not satisfactorily demonstrated the need for an additional car parking bay on site. 4. Having due consideration of subclauses 67(m) and (n) of Schedule 2 of the Planning and Development (Local Planning Schemes) Regulations 2015, the proposed development is not considered compatible with its setting due to the likely effect of the height, bulk, scale and appearance of the development on the character of the locality. 5. The applicant has not satisfactorily demonstrated the acceptability of the proposal with regards to noise impacts. 1. The proposal does not comply with the car parking requirements of the City’s Policy No. 7.7.1 – Non-Residential Development Parking Requirements, and the proposed variation is not considered to meet the objectives of the Policy as appropriate parking will not be provided to meet the needs of users. A cash-in-lieu contribution shall be paid to the City for the shortfall of 8 car bays, based on the cost of $5,400 per bay as set out in the City’s 2017/2018 Schedule of Fees and Charges being a contribution of $43,200 prior to the commencement of development or by entering into a written agreement to the City to pay the cash-in-lieu over an agreed period up to five years. 6.1 An updated Parking Management Plan in accordance with the City’s Policy No. 7.7.1 – Non-Residential Development Parking Requirements shall be submitted to, and approved by the City prior to the development commencing. The updated Parking Management Plan shall address the provision of on-site and off-site bicycle parking, as provided for by the approved plans. 6.2 Prior to occupancy or use of the development a minimum of two additional Class 3 bicycle parking facilities shall be provided in the Beaufort Street verge, in a location to the City’s satisfaction. The bicycle facilities shall be designed in accordance with AS2890.3 and all works shall be undertaken to the City’s specification and satisfaction. 8. If an applicant or owner is aggrieved by this determination there is a right of review by the State Administrative Tribunal in accordance with the Planning and Development Act 2005 Part 14. An application must be made within 28 days of the determination. Council was satisfied with the parking variation on the basis of the nature and location of the proposed use, subject to the payment of cash-in-lieu of parking for the 8 bay shortfall. At 6:46 pm, Cr Joshua Topelberg returned to the meeting. Conditions that have a time limitation for compliance, and the condition is not met in the required time frame, the obligation to comply with the requirements of the condition continues whilst the approved development exists. 1. REQUESTS that as part of the 2019/20 Budget process, Administration provides to a budget workshop a graphical breakdown of how rates are spent in the community, divided by the City’s various service areas. 2. REQUESTS that Administration include this graphical breakdown as part of the rates notification to residents. 3. REQUESTS that Administration provides a page on the City’s website that includes this graphic as well as a more detailed expenditure breakdown within each service area of how funds are spent. 1.3 The hours of operation for the Educational Establishment shall be limited to the operating hours of The Mezz Shopping Centre. At 6:57 pm, Cr Jimmy Murphy left the meeting. At 7:01 pm, Cr Jimmy Murphy returned to the meeting. This Item was withdrawn by the Chief Executive Officer prior to the Council Meeting. That Council ACCEPTS Tender No. 550/18 from Tree Amigos Tree Surgeons Pty Ltd for the Pruning of Street Trees using Elevated Work Platforms as per the pricing schedule (Confidential Attachment 1) in the tender submission and general conditions of tendering. 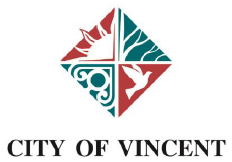 4.1.2 Notification on the City’s website and social media pages to the broader City of Vincent community. 3. ADVISES submitters of its decision. 2. ADOPTS the revised Terms of Reference for the Audit Committee included as Attachment 2. 2. NOTES that the City of Vincent Art Development Action Plan 2018 – 2020 provides the basis for specific consultation with arts sector that will directly inform the development of the longer term Arts Strategy. Pursuant to Section 5.23(2) of the Local Government Act 1995 and clause 2.14 of the City of Vincent Local Law Relating to Standing Orders, proceeds “behind closed doors” at the conclusion of the items, to consider the confidential reports. At 8.03pm the meeting went behind closed doors and live streaming was stopped. No members of the press or public were present. 5. NOTES that funding has been allocated in the 2018/19 budget to connect Rosemount Hotel Car Park and View Street Car Park in order to establish a consolidated public parking station within the North Perth Town Centre. These Minutes were confirmed by the Council as a true and accurate record of the Ordinary Meeting of the Council held on 21 August 2018.